Franklin's newest fire station is open for business on the grounds of the Williamson County Ag Center. 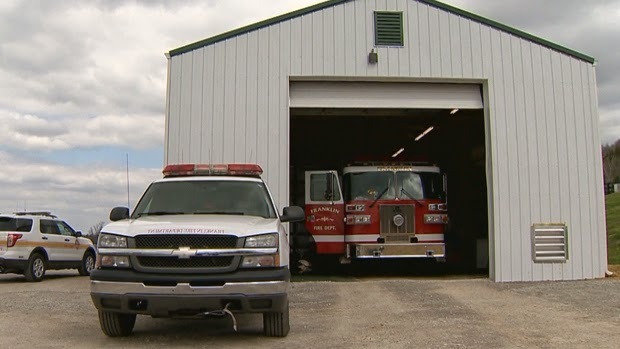 Fire Station 7 is a temporary location that opened in August after a fiery crash that destroyed the Peytonsville Road bridge. "With the accident it certainly prompted our urgency to put a temporary fire station in this location. So we began working on the day of the accident with Williamson County, who graciously gave us property to house a temporary fire station within the Ag Center itself." explained Deputy Chief Todd Horton. "They were working out of bunks, and essentially office cubicle dividers, so here doors were a big upgrade to have on everybody's bedroom," explained Captain Terry Crews. The fire station was located inside the Ag Center for seven months until it moved to a new, more permanent, temporary location late last week. "It's about 20x40, it has three bedrooms and two baths," said Crews. Four crew members will work 24-hour shifts in the new fire station. There are two rooms with one bed, and the larger of the rooms has two beds. Crew members are still working to make the space more functional as a fire station. "We're moving in, so we're setting up for some better storage options. Eventually we're going to get some lockers for uniforms in here," according to Crews. There is a large pole barn located next to the mobile home. It houses the station's ladder truck. "We're still in the process of setting up, so we're looking to add some shelving to store this equipment," Crews said. "We're also going to eventually add some gear lockers like you would find in the rest of our apparatus bays." The new fire station has decreased response times to emergencies on that side of Franklin. "(It) has helped us reduce our response times in this area, which would have been about 30 minutes with the bridge out, down to about six minutes or less, with the location out here," said Horton. The city paid $150,000 for the temporary fire station and it should be operational for the next two years. The city does have plans to build a permanent fire station not far from the temporary location. The delay is to allow crews to connect the area to Franklin's sewer system. The land for the permanent station is part of a deal Franklin made with Williamson County. They will provide sewer service to the Ag Center in return for the land. Get a "Quick Quote" for your next garage, barn, or storage shed from National Barn Company!